New Royal Caribbean Milestone Video has been published on the Company’s YouTube channel. 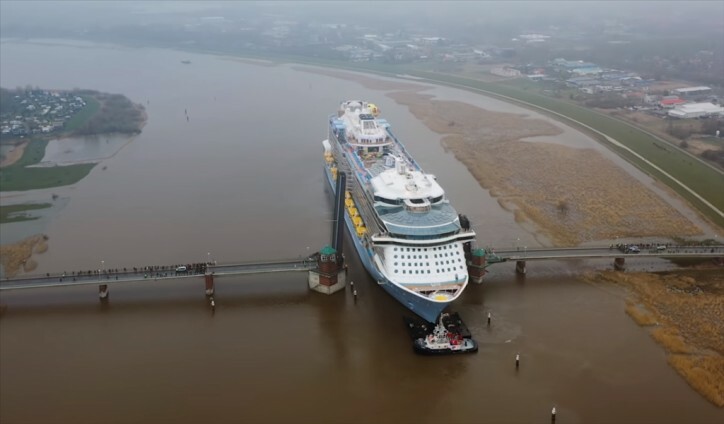 Watch in the video below the first Quantum Ultra class ship, Spectrum of the Seas (see also CruiseMapper), as she makes her way down the River Ems on her conveyance from the Meyer Werft shipyard to the North Sea. The vessel is designed and built specifically for the Chinese market. Quantum-Ultra is an upgraded (enlarged and enhanced) version of the Quantum-class ships Anthem, Quantum and Ovation.